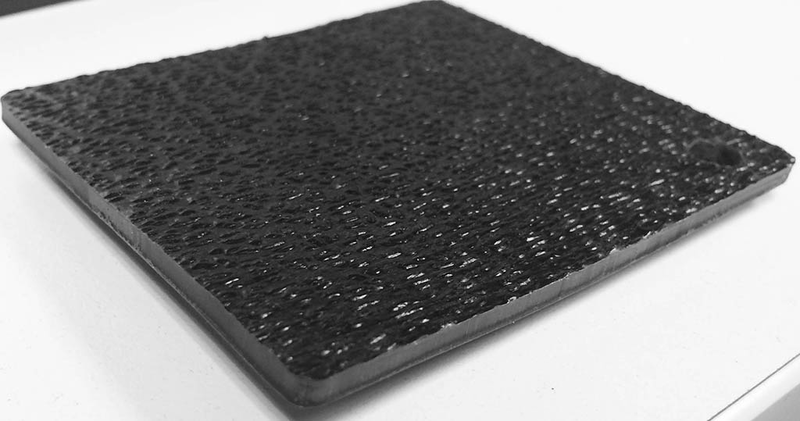 Keep your tile, concrete and hardwood floors looking new with our Black Vinyl Chair Mats! Black textured vinyl color catches the eye and provides a stylish contrast, while protecting your floors against the wear and tear of office chairs. Mats are non-studded for use on hard, non-carpeted floors. 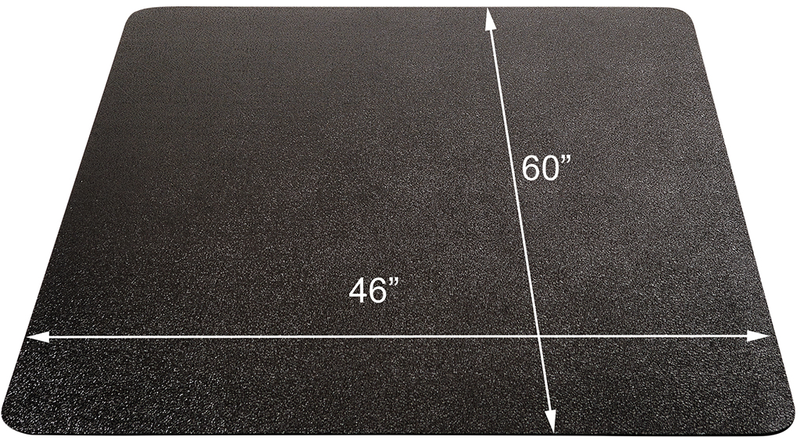 Mat is .1/16� thick with straight cut edges. 36"x 48" Black Hard Floor Rectangular Chair Mat sold above. Other sizes sold below. 36"x 48" Black Hard Floor Rectangular Chair Mat arrives rolled in the carton. Shipping weight 12 lbs. PRICE INCLUDES SHIPPING! Please allow 1-2 weeks for delivery. * Hard floor chair mats protect against scratches and scrapes from office chair wheels. 1 - 5 $109.00 ea. 6 - 11 $104.00 ea. Meant for use on hard floors without carpeting. 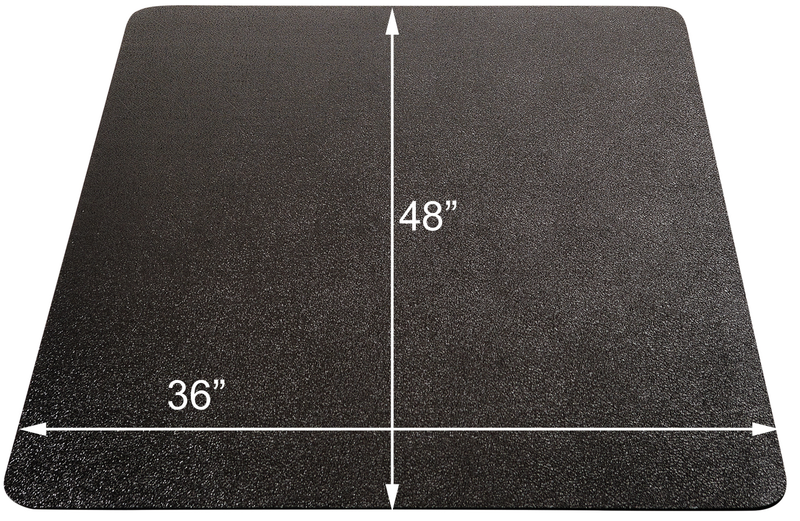 Non-studded chair mat rated for commercial use at your desk up to 8 hours a day. 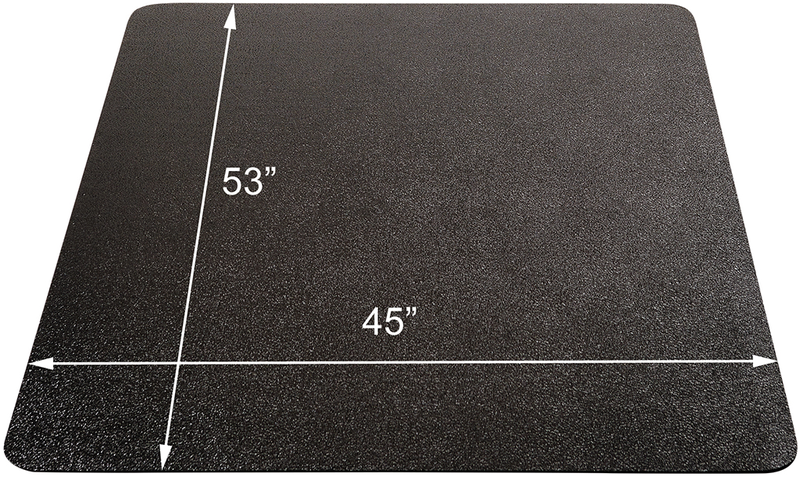 Mat is 1/16" thick. Straight cut edges. Arrives rolled in the carton. Shipping weight 16 lbs. PRICE INCLUDES SHIPPING! 6 - 11 $124.00 ea. Meant for use on hard floors without carpeting. Non-studded chair mat rated for commercial use at your desk up to 8 hours a day. Mat is 1/16" thick. Straight cut edges. Arrives rolled in the carton. Shipping weight 20 lbs. PRICE INCLUDES SHIPPING!